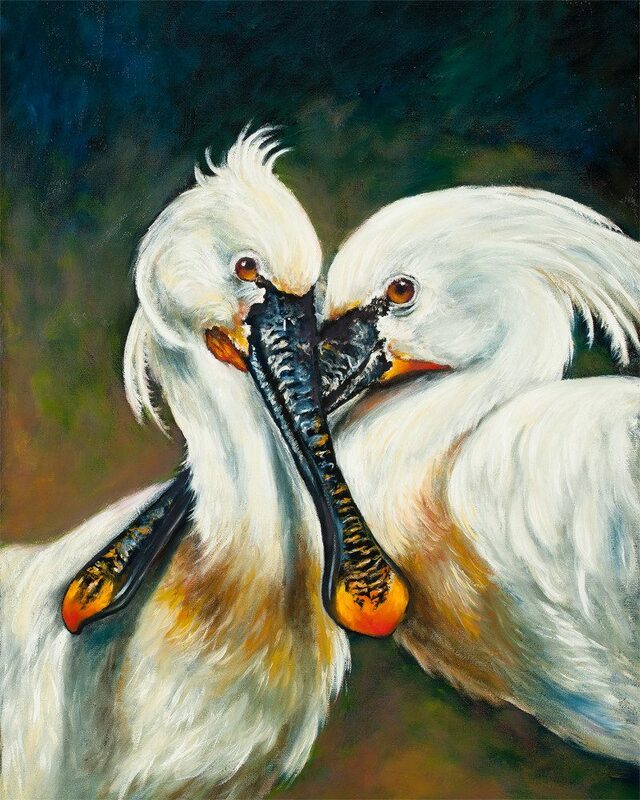 FROM THE ARTIST: Spoonbills, along with other bird species are threatened by habitat degradation through drainage and pollution, over-fishing and human exploitation. 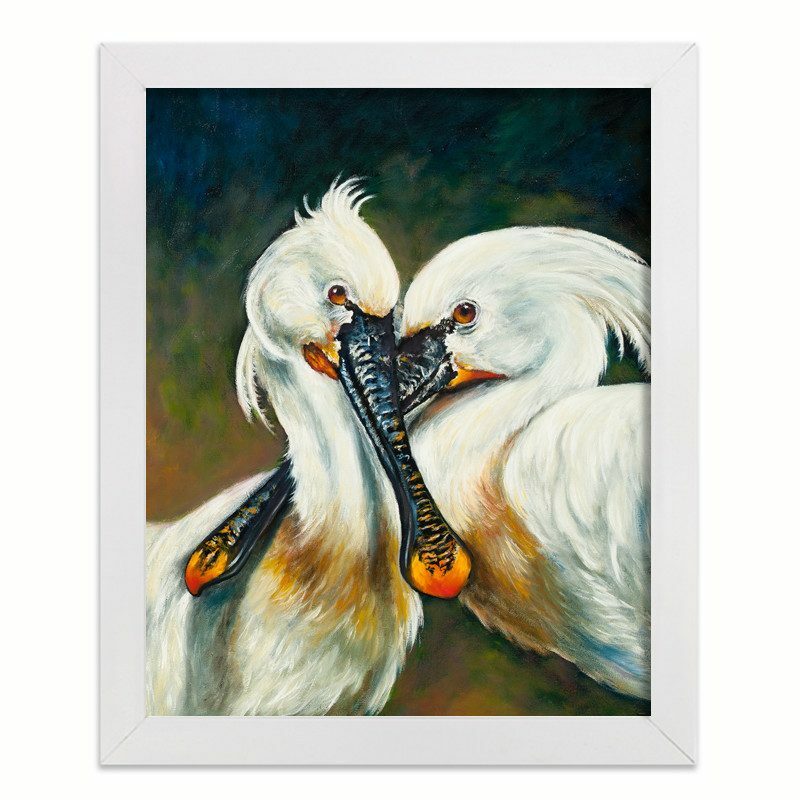 While painting these birds I was focusing on their relationship. It’s not only that they are physical touching each other but their it’s their mental connection. 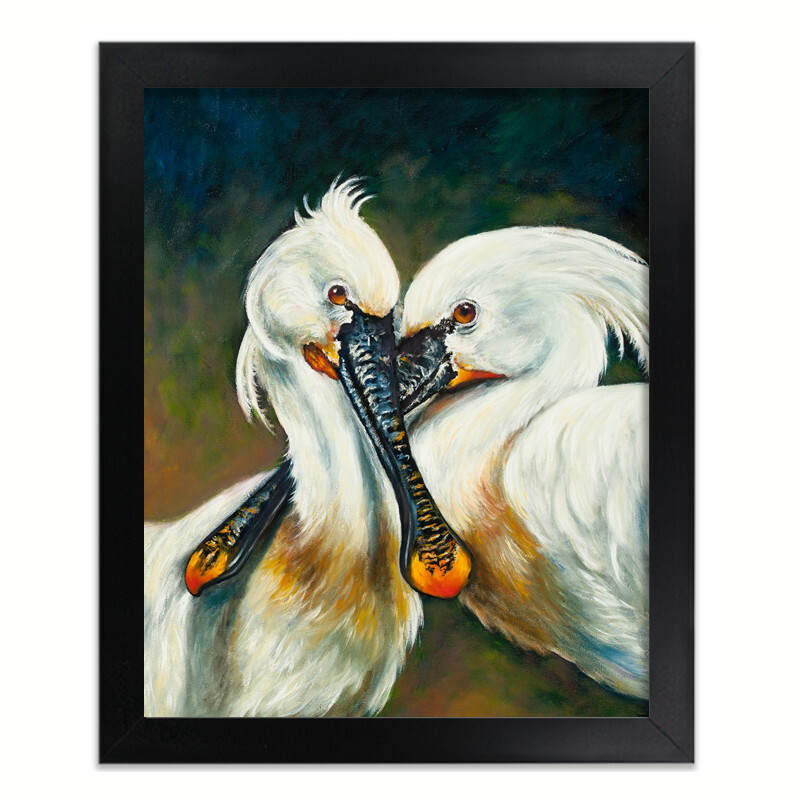 Spoonbills flock together which means they are all friends, mates and family. In my opinion animals love and care for one another.